We are excited to announce the features & bug fixes which were released in our November 2015 release for SAM Broadcaster Cloud. 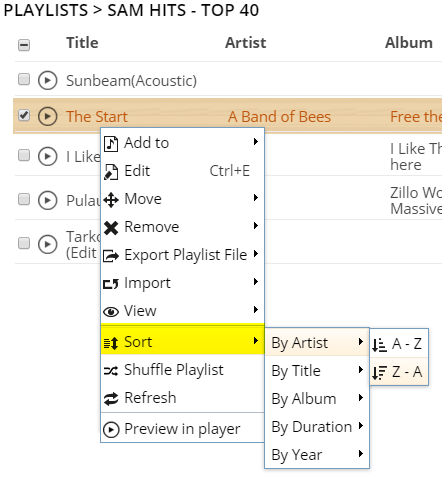 Playlists and filters now show a summary at the bottom of the page indicating the number of tracks and the total duration of those tracks. The summary will also display the number and total duration of selected tracks which is especially useful to quickly gauge how a long playlist will play so you can better plan your schedule. Tracks in the queue will now display the Estimated Time to Air when in the “Auto” or “Columns” view. You can also hide this column from view from the “+” icon at top-right. You can now sort any playlist or the queue by Artist, Title, Album, Duration and Year. especially useful to help when planning your station schedule. In the Schedule → Playblocks tab you can now see the number of items and a summary of the duration of your filters and playlists. This helps ensure you have enough content to set up your playblock correctly. 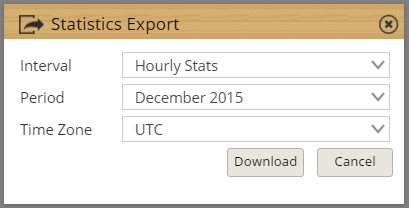 You can now export your listener statistics from the SAM Broadcaster Cloud interface by clicking on the drop-down arrow next to the statistics graph and selecting “Export”. We have updated the user zone by removing those features which have been relocated to the SAM Broadcaster Cloud interface. When previewing and muting a track, in some cases when playing the live stream the station stayed muted. This has been resolved. We made various small changes to the SAM Broadcaster Cloud interface including Academy updates, fixing the History area that sometimes showed “null” and renaming the DJ Permissions tab to DJ management. We fixed a bug where the Station ID filter was not present in the Schedule → Playblocks tab.